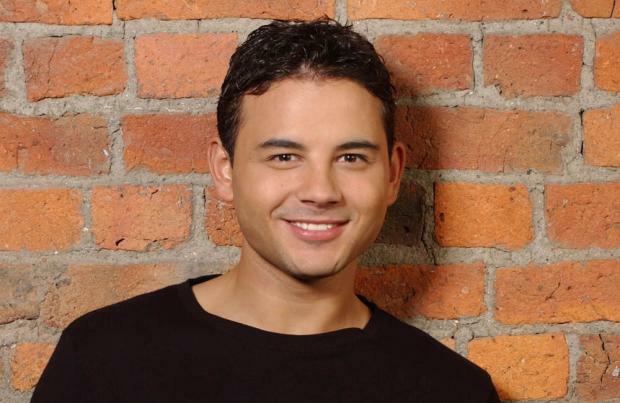 Ryan Thomas' mother is fuming he's quit 'Coronation Street'. The 32-year-old actor is set to bow out of the long-running soap as handsome builder Jason Grimshaw - a role he's portrayed for the past 16 years - but he has admitted his mum is so angry with him for turning his back on the ITV programme. He explained: "She's [my mum is] not happy about it, not happy at all! She can't get her head around it. She loves 'Emmerdale' [the show his brother Adam currently stars in] and 'Coronation Street'. She thinks good acting is if I get an end-of-episode scene. She'll call me up and say. 'Ryan, you got an end of ep!' "
However, Ryan felt the time was right to close the book on the show once and for all as he wants to spread his wings but not fear that he'll be pigeon-holed to "dad roles". Speaking to OK! magazine, he said: "The main reason [for leaving] is I wanted to have a change and it was about doing something I've never done before. I feel like now is the right time - I'm in my thirties. I'm also wary that if I left it a few more years, I'd end up playing dad roles but at the moment I can still play younger roles. It was the biggest decision I've ever made. I've been here since I was 16 - that's all my life, really. It's the only job I've ever had. I'm part of the furniture and am proud to be a part of 'Corrie' but it's time to try something new." But, although he can't wait to try his hand a something new, Ryan couldn't hold back the tears when he shot his exit. He said: "I've cried twice. The first time I picked up the script - that was when it hit me I was leaving."